Provide comfort for the family of Mary Renier-Dixon with a meaningful gesture of sympathy. 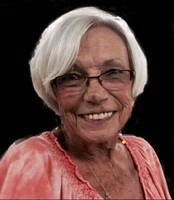 Mary Katherine Renier-Dixon, (Kathy), age 70 of Webb City, Mo. 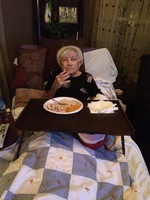 passed away on Thursday, February 7, 2019 at her home surrounded by her loving family. Kathy was born on February 5, 1949 in Neosho, MO. The daughter of Floyd (Buck) and Helen (Soma) Petty. She proudly served her country as part of the US Army for over 27 years. At the age of 25 Kathy enlisted as an Artillery Ballistic Meteorologist. In July of 1980 she received a direct appointment to Warrant Officer, (WO1), becoming the first female Field Artillery Warrant Officer. Kathy then served various assignment in the Continental United States, completed a degree in electronics, and an assignment as an Aviation Electronics Technician in South Korea. 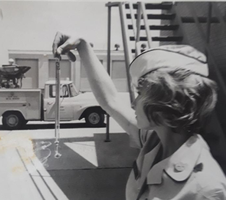 In March of 1990, Kathy was assigned to the Radar Repair Instruction Branch at Fort Sill, OK where she restructured the military Occupational Skill training, resulting in an increase of technical performance of students attending training. In 1995 Kathy was assigned as Avionics Platoon leader for an AH-64 Apache Attack Helicopter squadron, Camp Eagle, South Korea. After a successful rotation in Korea, Kathy was assigned as Commander of the Ordinance Training Detachment at Ft Sill. Kathy’s leadership, dedication and expertise led her to being promoted to Chief Warrant Officer Five, (CW5). Among her many awards and commendations is the Legion of Merit, (one of only two medals that can be worn around the neck, the second being the Medal of Honor). Kathy retired from the Army in 2002. Following the Army Kathy worked as a software analyst supporting the Fires Software Engineering Division at Fort Sill, OK. on the FIREFINDER Training Device. She retired from in working 2008. 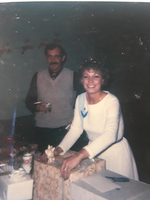 Kathy married John Dixon on January 1, 1981, in Lawton, OK, he survives. Additional survivors include two sons; Tony Renier of Dubai, United Arab Emirates, Wesley Renier of Tulsa, one daughter; Diane Gunn of Elgin, Ok., three sisters; Patricia Reeder and husband David of Webb City, Nancy O’Neal of Webb City, Karen Ellison and husband Larry of Lake Hills, TX., one brother Rick Lowry and wife Gail of Elgin, Ok., and five grandchildren, Danja, Claudia, Rylea, Alena and Mina. Kathy was preceded in death by her parents, two brothers, Floyd (Bucky) Petty and Robert Petty, and a sister, Sara Varenhorst. The family will receive friends during a time of visitation from 6-7 p.m. Monday February 11, 2019 at the Mason-Woodard Chapel. Graveside services will be held at 11 a.m. Wednesday February 13, 2019 at the Greenwood Methodist Cemetery, Lawrenceburg, Tn. In lieu of flowers, the family requests donations be made to St. Jude Children’s Hospital in care of the mortuary. To send flowers in memory of Mary Katherine Renier-Dixon (Petty), please visit our Heartfelt Sympathies Store. Provide comfort for the family of Mary Katherine Renier-Dixon (Petty) by sending flowers.